Modern children don’t have the luxury of learning social etiquette on the old discarded relics we called cell phones. It is important to let them enjoy their childhoods, similar to the times when Saturday cartoons reigned our weekends. 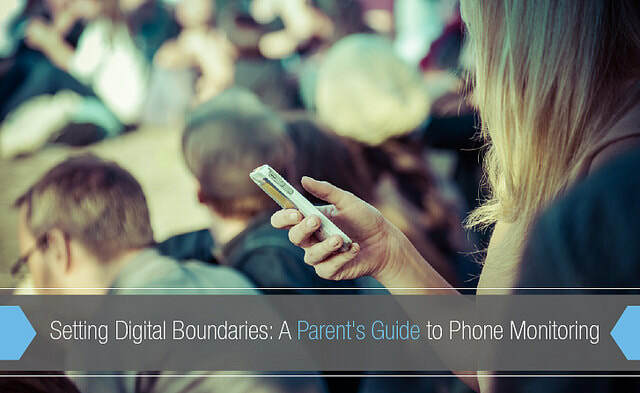 Our children are navigating a world that can be influenced with a tap of a finger and cell phone monitoring can be the key to maintaining their innocence for a little longer by setting digital boundaries. Be honest and upfront with your children about your cell phone monitoring. Numerous parents notice that when a child is aware of possible cell phone monitoring, the child will be extra careful while participating in online activity. There are countless apps and products that allow parents easy cell phone monitoring. Use a cell phone plan that restricts internet access– you can limit daily data usage or just use a plain “dumb” phone. Allow your teen to focus on other activities and take a break from the online world of social media. ​Set a good example. Children are watching and learning from how parents behave. Follow the same rules set out for the teens and be conscious of your own usage.